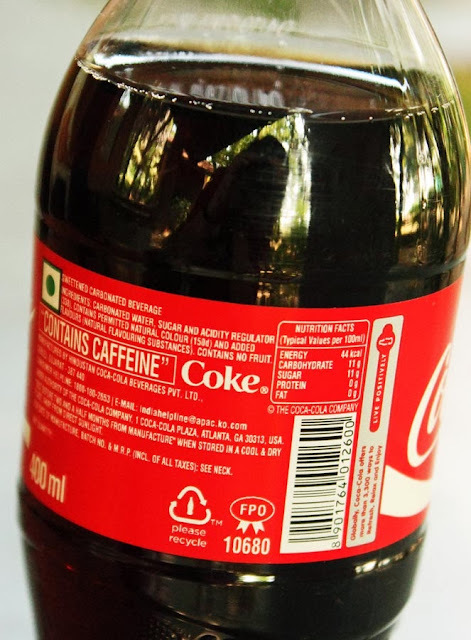 400 ml of coke is 170kcal, as it says so clearly on the pack, on the top left side of the label, just above the brand name Coca Cola. This contains 44 gms of sugar which = 10 teaspoons of sugar. All the best to those who drink this poison! All bottled drinks should carry a calorie label. Not surprising considering that so much of it is just sugar. But wait, the main ingredient is carbonated water and then comes the sugar. And naturally to balance out all this acidic mix, they need an acidity regulator which is the third ingredient. And then the natural colours and flavous. What one can be sure of is that there is nothing natural about this drink. Alcohol is more natural. 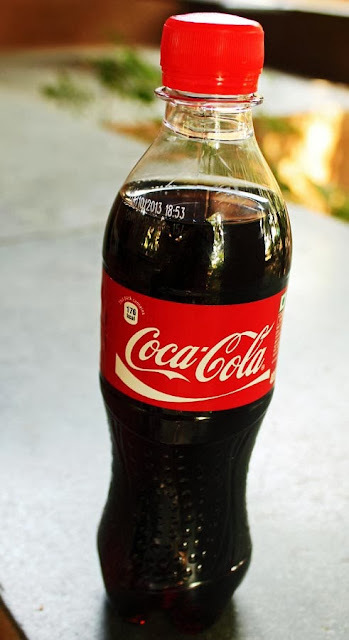 Banning coke is a better idea than banning alcohol. This is a beautiful beach at Diu. Clean golden sand. Fresh air. A calm sea. 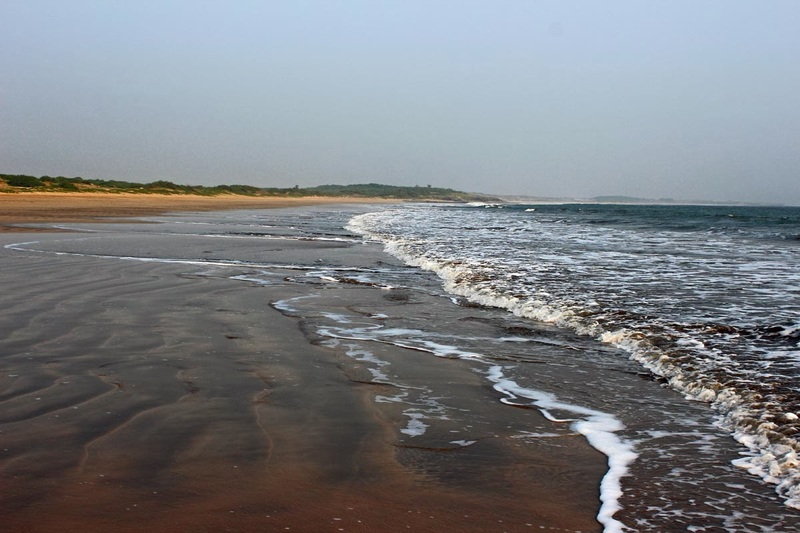 A wide expanse of beach at Diu with the setting sen as the backdrop. 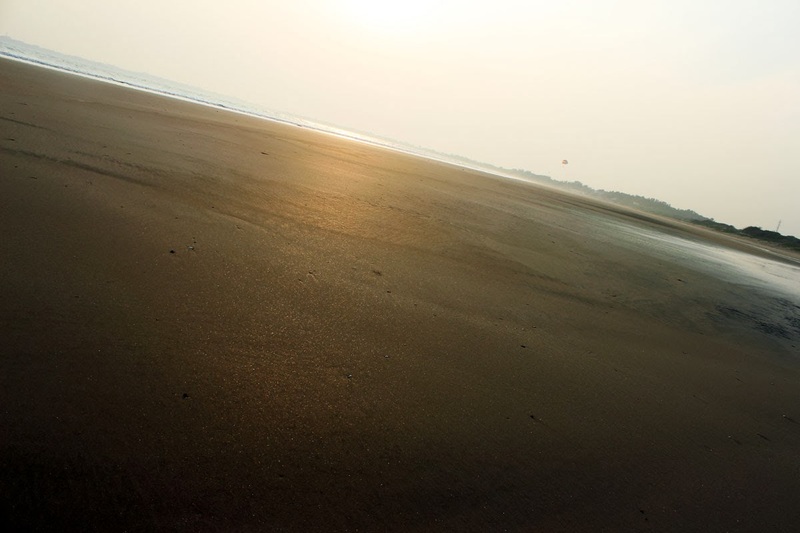 or Rocky Dadar Beach where the beach has been eaten up by the sea. Or try the label Beaches for all photos with a beach. 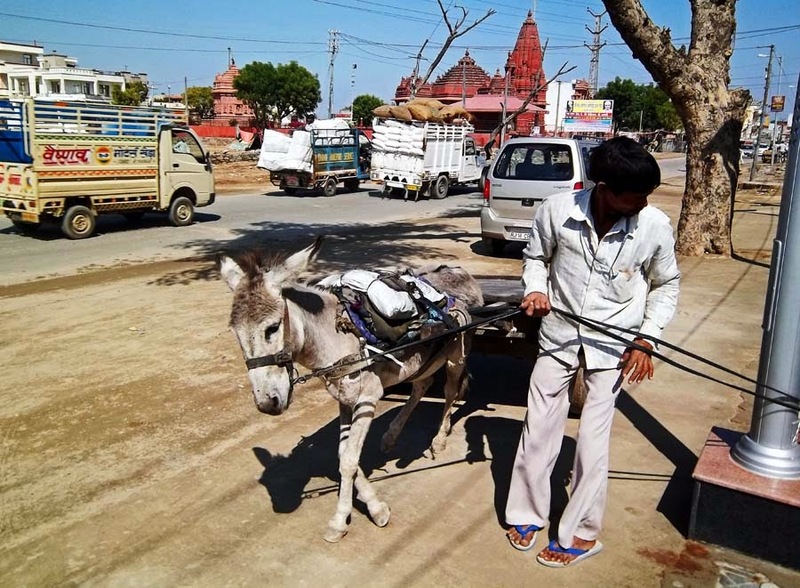 Pigeons are routinely fed in pigeon loving India. Grains are dumped outside housing societies and it's no wonder that their population is galloping by leaps and bounds. Pigeons being fairly docile doves, are tolerated, even loved by people. Perhaps that is why they are indiscriminately fed, and more often by those who do not live near their nesting sites. As they give birth every other month, this means that the population of pigeons can increase rapidly if they find an easy source of food. 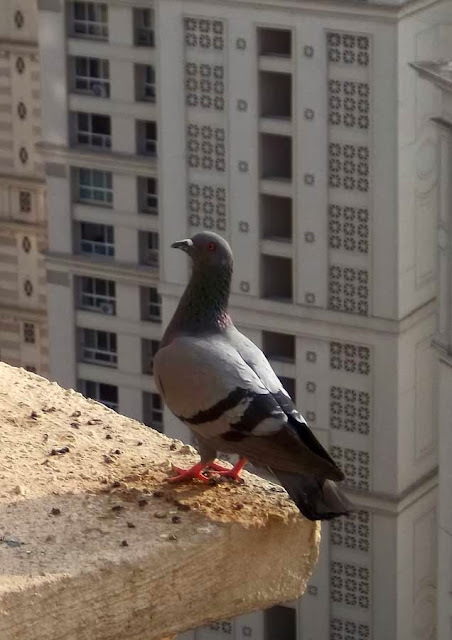 The nesting sites can become very dirty and germ ridden, specially when the pigeon population explodes like it has done in Mumbai. 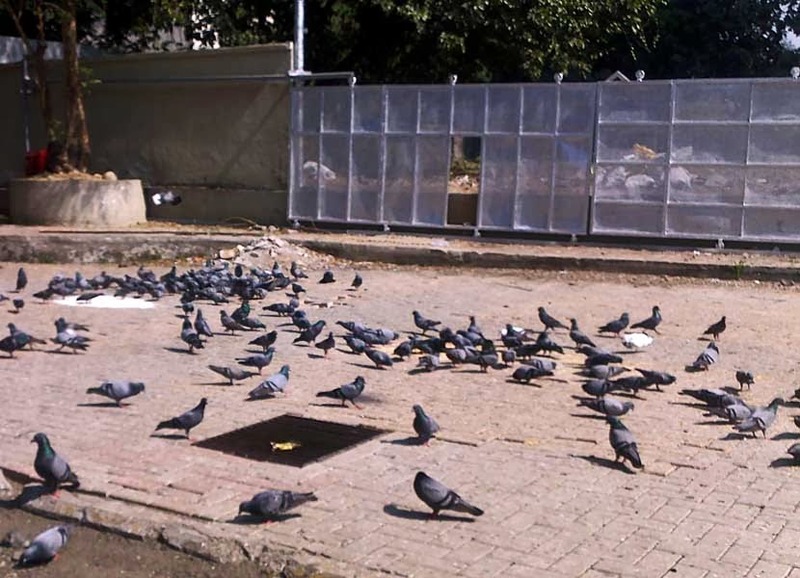 Pigeon droppings are also harmful for health and place for germs to breed. Be careful of the droppings as they are acidic, and over several years damage tiles and buildings. As long as you don't breathe in their droppings or touch them, there is no fear of disease. But if by mistake you come into contact with their droppings or the birds themselves, be sure to wash your hands thoroughly. There have been reports of pigeon droppings contaminating the air and affecting some people with asthma and causing breathing difficulties. In this picture note the large heap of grain dumped for the pigeons to feed, right outside a housing colony. Most people are ignorant of the health issues causes by feeding pigeons indiscriminately. At least until the pigeon starts to next right outside their own window! 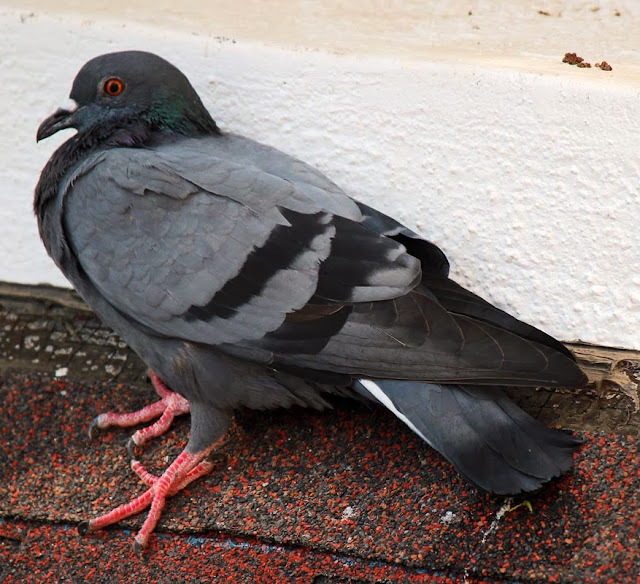 A close up of a pigeon sitting on a cobbled rooftop. You can clearly see the orange coloured eyes with the large black pupils giving it a staring look. These doves have adapted very well to city life because originally they inhabited rocky cliffs. 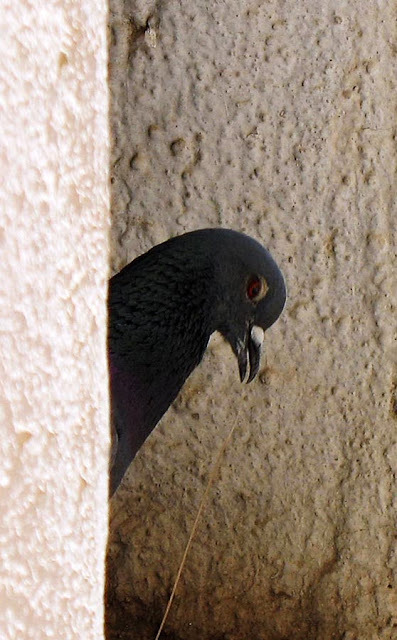 The feral pigeon is the descendent of the rocky dove and find that ledges and window sills suit them fine! Being sociable they are found in flocks. Where you see one pigeon, be assured that many more are somewhere nearby. The face of a pigeon, a portrait. 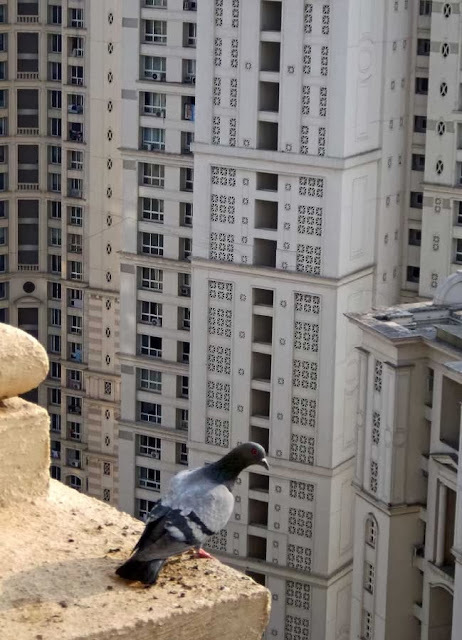 A pigeon perched on a ledge in a colony of skyscrapers. 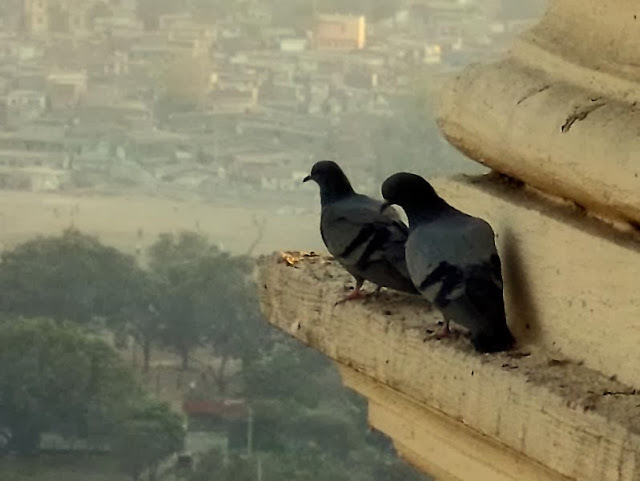 Two pigeons standing on a building ledge with the city in the background. You might also like to see photos or other birds: Emu the bird or Silhouettes of birds in flight or Fortune Telling by a parrot! or check out all the images filed under the label Birds. 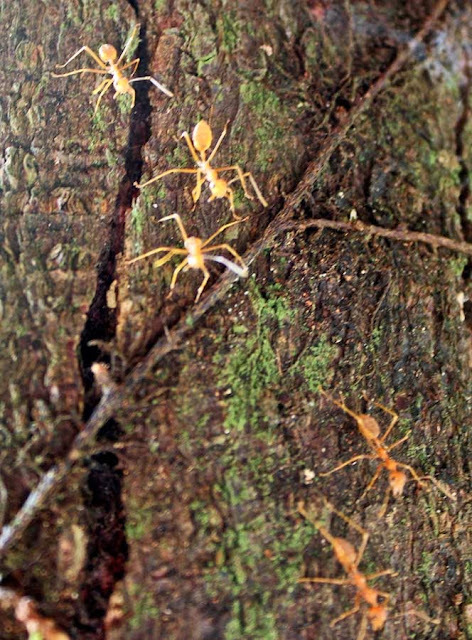 These are probably Citronella (Acanthomyops) ants although I thought at first they are Pharoah ants. They were surprisingly found on tree bark in Kerala, India although they are supposed to be native of North America. 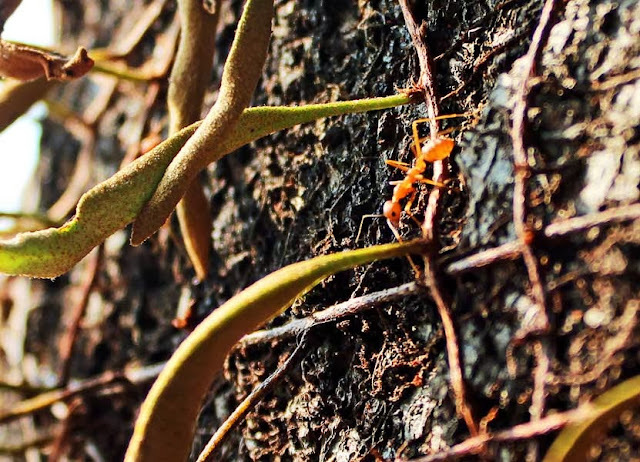 So I thought perhaps they are Pharoah ants (which are native to Indonesia and Africa) but finally concluded that they are Citronella as these type of ants make nests in rotting wood. Pharoah ants also have a darker coat on their belly and I did not see that here. These ants were found in the wild. A close up of the orange, almost transclucent ant. A distinct black dot for the eye. 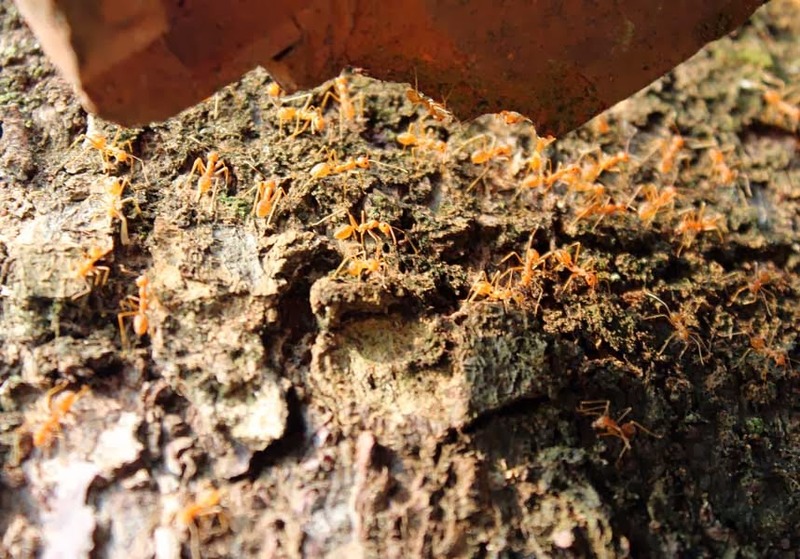 A swarm of the orange ant on a rotting tree. A few orange ants crawling on the bark of a tree. Higher resolution pictures with far greater clarity are available. In certain places like in Rajasthan, India, carts can be pulled by donkeys. 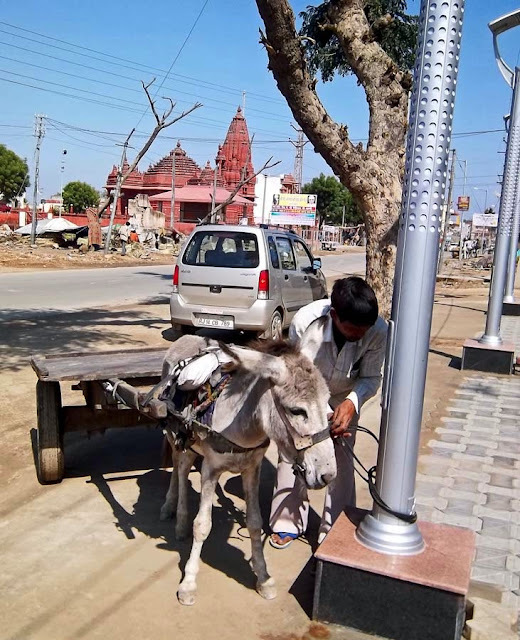 As seen in these photos, a small two wheeled cart to transport goods is being pulled by a donkey. These are black and white silhouettes of Venice's Skyline - based on photographs taken at different points in the city. Venice, located in the Venetian Lagoon, is a beautiful city between the mouths of the River Po and the Piave. This Venice silhouette represents a very famous area, a typical Venice scene with the outline of its domes and churches, with the river in the foreground. The floating buildings are on each side. This silhouette is done in a different style from the one above and represents the same scene. It is darker, with the sky in black as well. 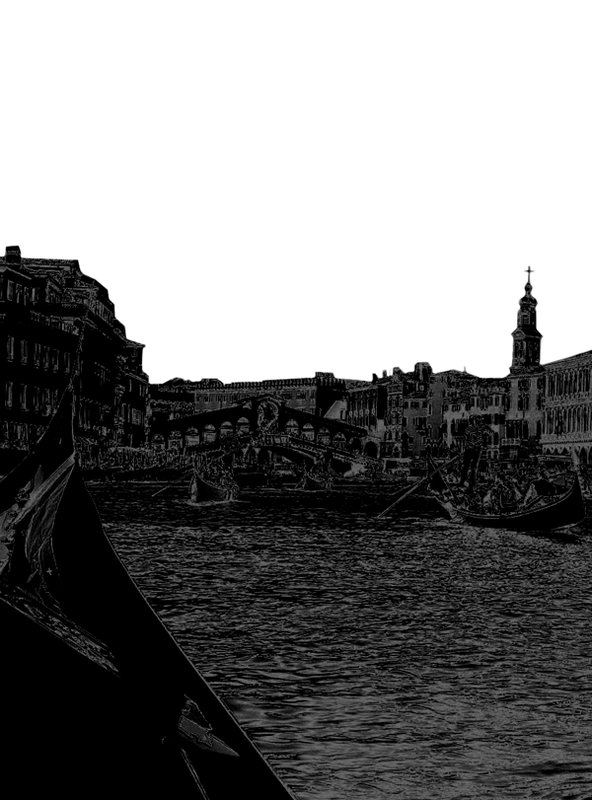 A silhouette of the city of Venice from the interior canals. A canoe or gondola is in the foreground and one of the many small bridges which connects two sides of the river in the background. 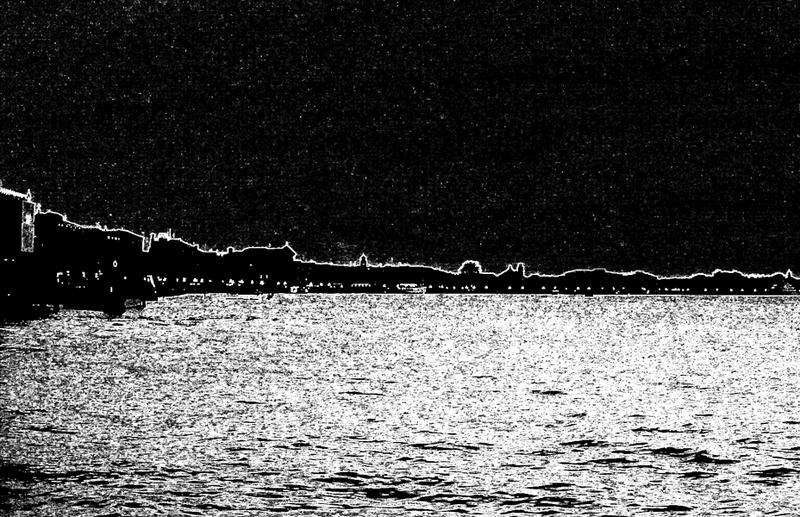 A silhouette of Venice with a dark sky background. This is not a typical Venice scene but a glimpse of Venice as one approaches Venice. 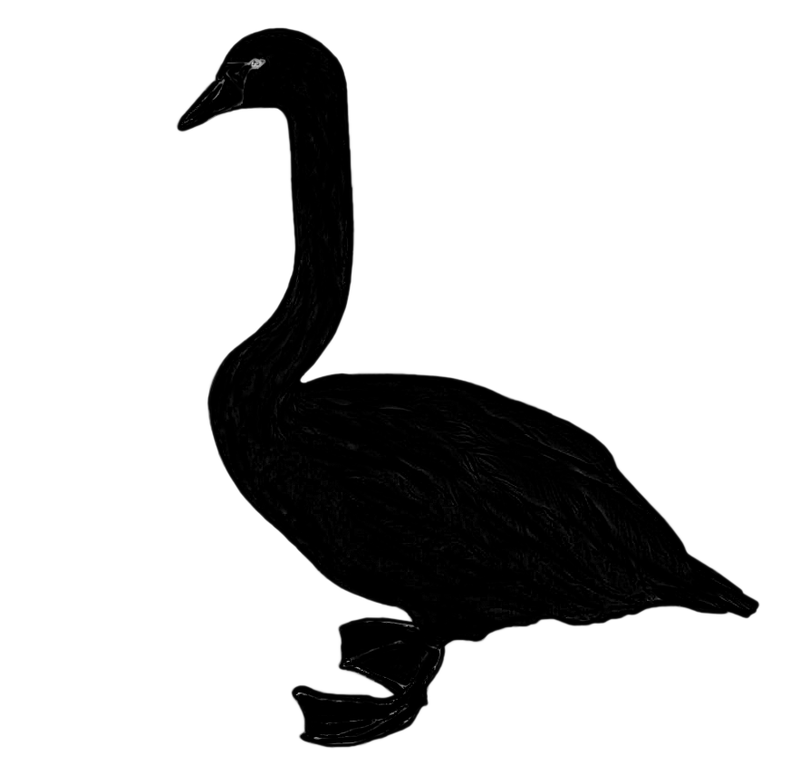 A black and white silhouette of a swan. 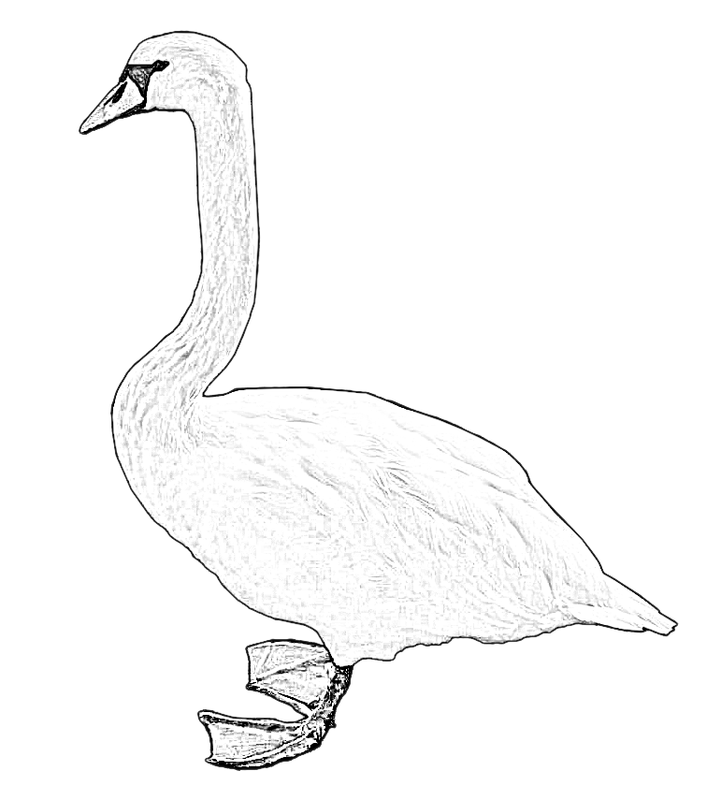 A black and white sketch of a swan. See other Silhouettes and Sketches on this blog or pictures of Animals or Birds. The Malayan Tapir or the Asian Tapir, is not an animal you see very commonly in most parts of the world. It is from the rainforests of South East Asia. It is a fairly large animal with an unusual coat. It is black mostly but it has a large white patch on its body and the tips of its ears are also white. This is black and white coat is for camouflage and it can be mistaken for a rock. It has a snout like a pig's. 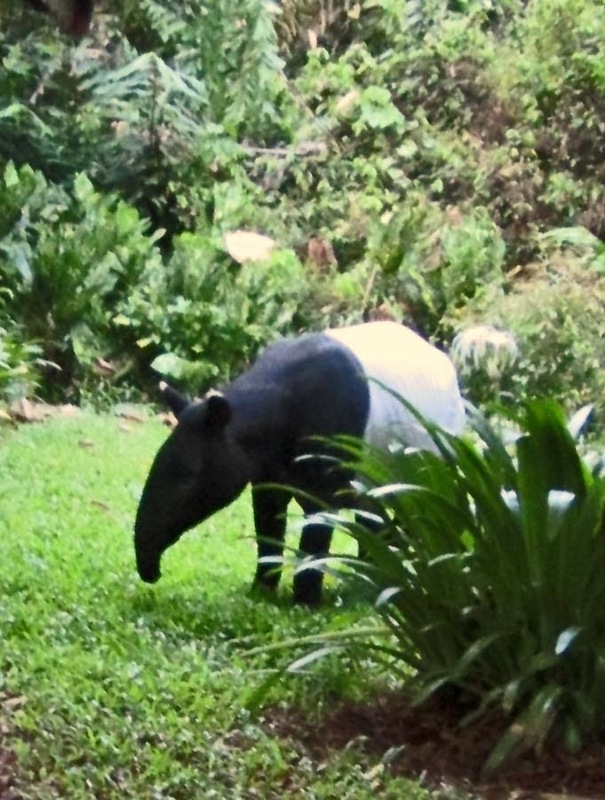 These Tapirs are not tame, and are not from a zoo. The pictures are of wild Tapirs who have come out of the jungle at dusk. 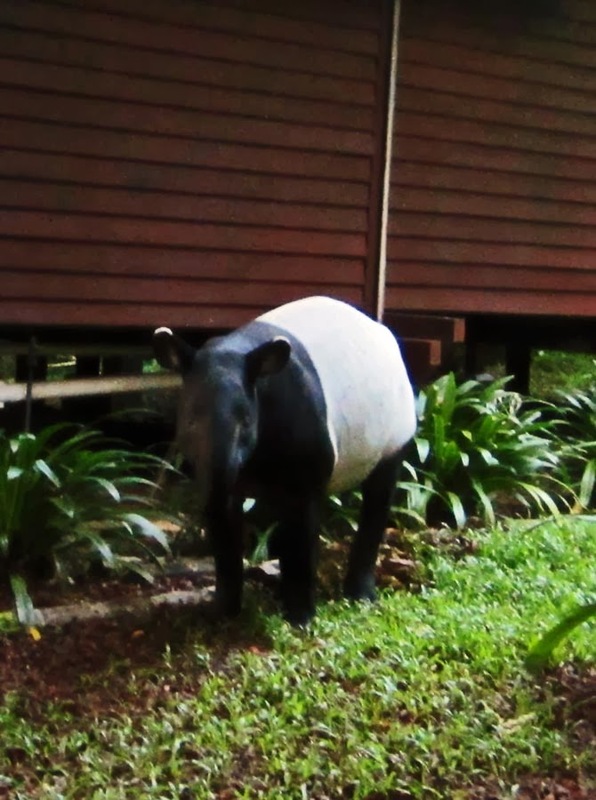 A Malayan Tapir from the side. 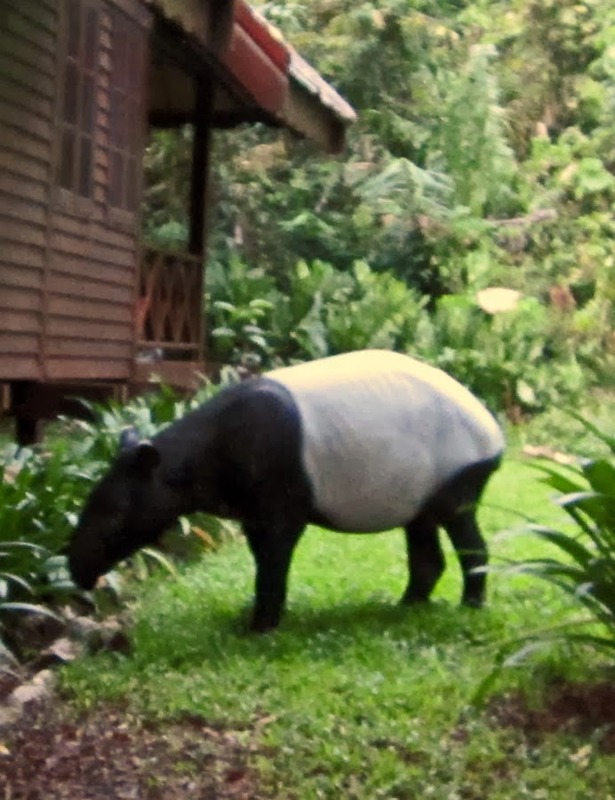 Here you can see the Tapir's snout. You can also check the label "Animals " or "Wildlife."